Medical marijuana could expand in Louisiana and New Jersey, CBD cannabis oil gets regulated in Michigan, and more. Last Wednesday, the Senate approved adding qualifying conditions for medical marijuana . The Senate voted 25-9 to approve House Bill 579 , which adds glaucoma, severe muscle spasms, intractable pain, PTSD, and Parkinson's Disease to the state's list of qualifying conditions for the use of medical marijuana. It also voted 21-10 to approve House Bill 627 , which adds autism spectrum disorders to the list. The bills have already passed the House, but must be approved there again after changes were made in the Senate. Last Thursday, the state announced it will regulate CBD cannabis oil as marijuana . State regulators announced that CBD cannabis oil products will be covered by the state's medical marijuana laws. The Department of Licensing and Regulatory Affairs declared that state law allows for the use of CBD cannabis oil -- if it comes from marijuana plants, not hemp plants. "We received lots of questions about if CBD was going to be regulated along with marijuana and how hemp plays into that," said department spokesman David Harns. "Now is the right time to send out an advisory bulletin." On Tuesday, a bill was filed to expand the state's medical marijuana system . Responding to Gov. Phil Murphy's (D) call to reform the state's medical marijuana program, a trio of state senators has filed a bill that would allow more dispensaries and grows to open, as well as permitting more medical professionals to recommend the drug to their patients. The bill, Senate Bill 10, is not yet available on the legislative web site. On Monday, the governor approved university research on medical marijuana . Gov. 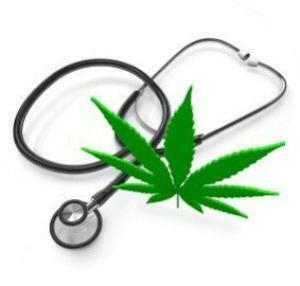 Tom Wolf (D) has given the go-ahead for eight universities in the state to start studying medical marijuana. It would be the commonwealth's "first step towards clinical research" on the drug. He formally declared them to be "Certified Academic Clinical Research Centers." Last Friday, the Mormon Church ups the ante in fight against medical marijuana initiative . The church last Friday doubled down on its opposition to the medical marijuana initiative  set for the November ballot. The church released a seven-page memorandum raising dozens of complaints it says "raises grave concerns about this initiative and the serious adverse consequences that could follow if it were adopted."